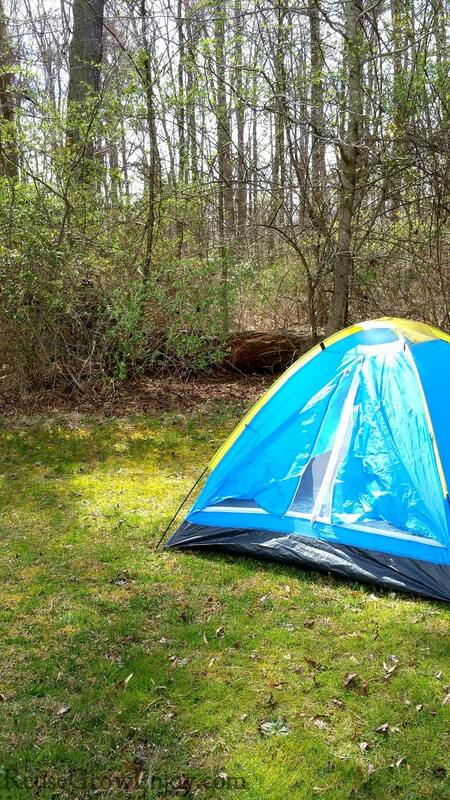 Want to go camping but don’t have it in the budget to pay for a campground? I am going to share 5+ ways how to go camping for free that will have you wondering why you have not gone camping sooner! Camping can be such a nice getaway. Gets you back to the outdoors and to the simple ways of life. Great way to enjoy time with family and friends. But what happens when you just don’t have it in the budget to pay those campground fees that can sometimes be super pricey? 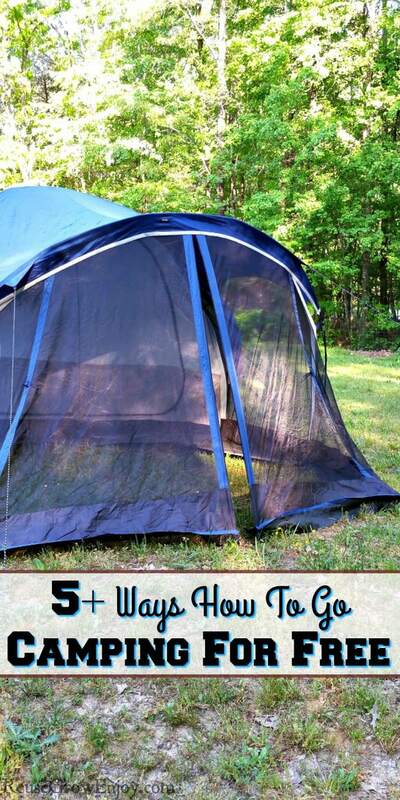 Knowing these tips for 5+ ways how to go camping for free can be super handy for times like that. Now when I say go camping for free, I am talking more or less about just the space. Like you would pay for a site at a campground. It does not include the camping gear, that you will already need to have on hand. But don’t worry, you can make a great camping trip from just simple gear and only a few items. If you have never been camping before, you may want to check out my post on Camping For Beginners – Pack List. You may also find the Top Items To Take Camping helpful. This style of camping is also called dispersed camping. So when doing research on camping for free this is something you may see pop up often. There is one thing to note about camping for free. Many of the places that do allow it, do not come with the extra perks such as bathrooms, firepits and so on. But if you are willing to rough it, you can have a great and budget-friendly time. Or sometimes you can also find low price sites that are only a few dollars a day that you can enjoy those extra perks. Before you know it, you will be out enjoying the outdoors and staying on budget! The first one on the list is super simple and many of you may have already done this one. But you can enjoy some of the most amazing times when you are backyard camping! Simply set it up just as you would a normal campsite. If you are someone that loves to camp often, you could even put in a real firepit if you wanted. If that is not in the budget, collect some large rocks and put them around in a small circle to make an area for your fire. While this one may be something you have thought of or maybe live in a town where you can’t do it, there are other ways. You could always use a family member or friends backyard too! Many of us have at least one friend who may own a little land. You could always ask if they would mind you camping on their land. Most the time, they really do not care as long as you have respect for the land and do not leave trash around or fire unattended. There are some campgrounds to do have free camping. Most the time that they offer it is when it is considered offseason. To find out if there are any around you, you can call them and see. You can also check the Freecampsites.net site and they sometimes will have a few listed. If they do not offer any free ones, they may at least offer deeply discounted sites. Either way, it is worth checking to see. You can also see the links below for National and state land as they also have some campgrounds listed. There are lots of parking lots across the US that will allow you to stay the night. Most will not allow you to stay for days on end but if you just need a quick night or two maybe while traveling, this may be a great option. Just be sure to always check with the store first to make sure it is one that indeed allows it. Some have found great success with places like Cracker Barel and Walmart. You can always check the Freecampsites.net site to see what others have found in the area you will be. 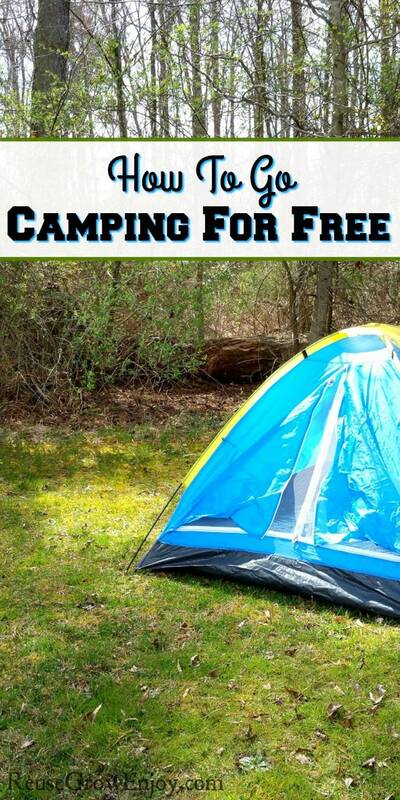 This is one of the best options for camping for free! Or as they may have it listed on their sites “dispersed camping”. There are many areas of National and state land that is available to camp on for free! While I am sure there are other sites out there that also list options for camping for free, here are a few I found helpful. U.S. Forest Service (part of United States Department Of Agriculture). On the main page, if you look to the left, you will see a green box. Simply select the state you want to look up in the drop-down box. Then in the box under that, select which place you want to check and click go. Not all will have anything listed or sometimes only a few. Then click on the green button that says GO Camping! There you will see the options for campsites where you can check fees and free campgrounds. You will also see options for dispersed camping. Another great site to check (more for the west) is the Bureau Of Land Management. Just select the location from the dropdown box, then select camping under activity and then click search. Camping for free is becoming less and less. I think that is partly due to people not respecting the area and land. So make sure when you are enjoying these tips on how to go camping for free, to remember to leave no trace! That way we will all be able to enjoy free camping in the future too. Need more tips on camping? 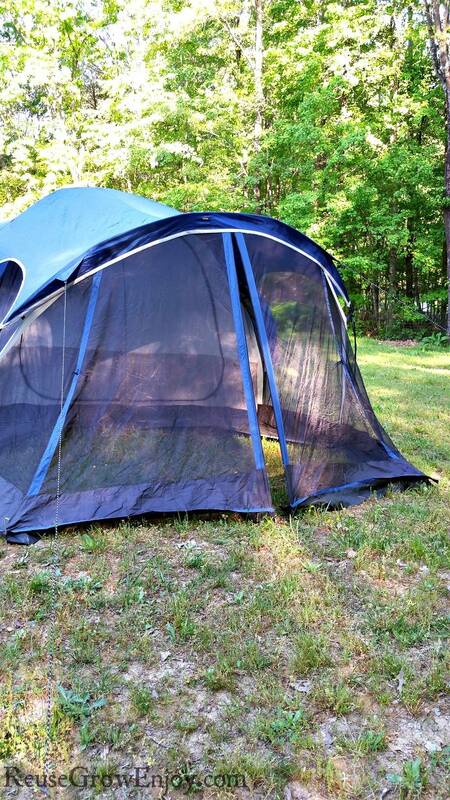 Here are some other camping posts to check out.